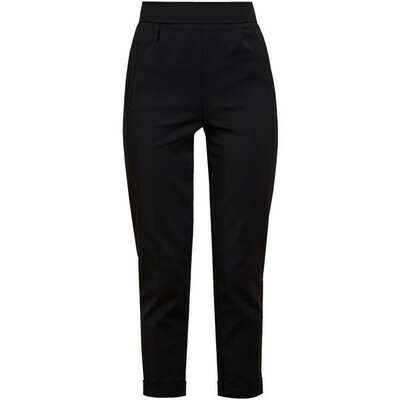 Black high-waisted stretch cotton trousers from Osman. Narrow waistband. Hip pockets. Darts for shaping. Central leg pleats. Turn-up ankle cuffs. Partially lined. Dry clean only.